It’s not even December, but it already feels as though the 2020 presidential elections are well underway. 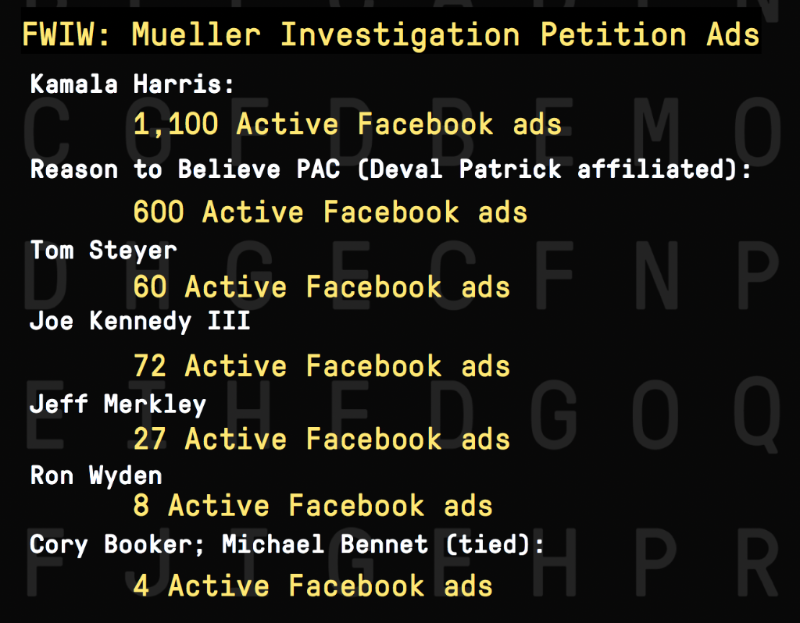 While we don’t have any insider knowledge (that we’re willing to share), the Facebook ad archive is a great place to see what some of the more talked-about prospective candidates are interested in post-midterms. One word: names. And the apparent way to get them? Mueller. 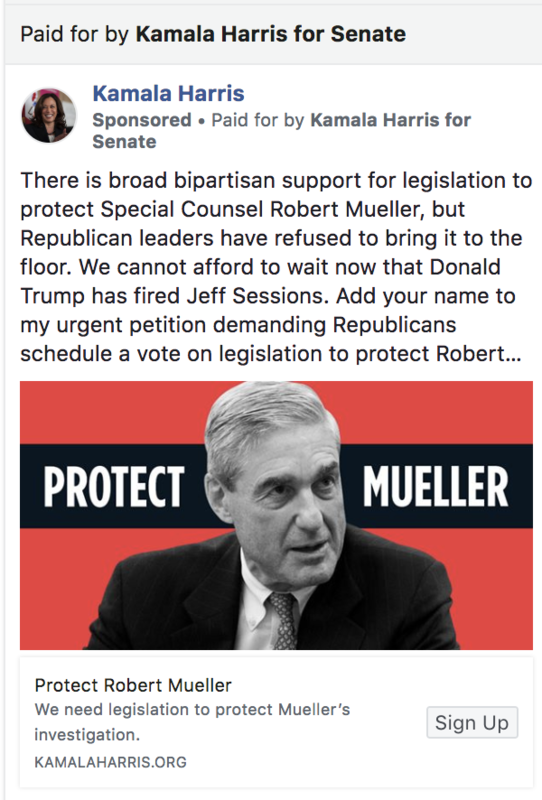 Deep Dive – protect Mueller…or build lists? Now that the election is over, we took a look at who is still spending dollars on Facebook ads. 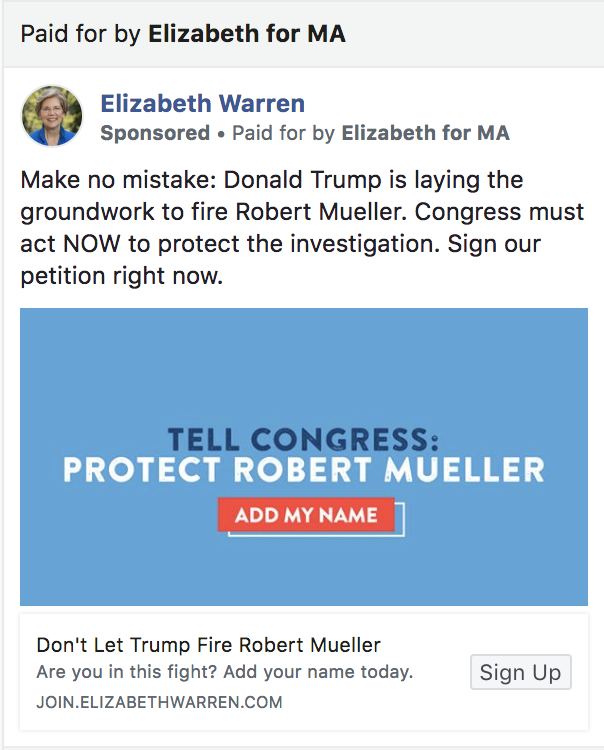 And one thing we noticed is a large number of potential 2020 contenders running ads about protecting the Mueller investigation. Here are examples of a number of the ads. 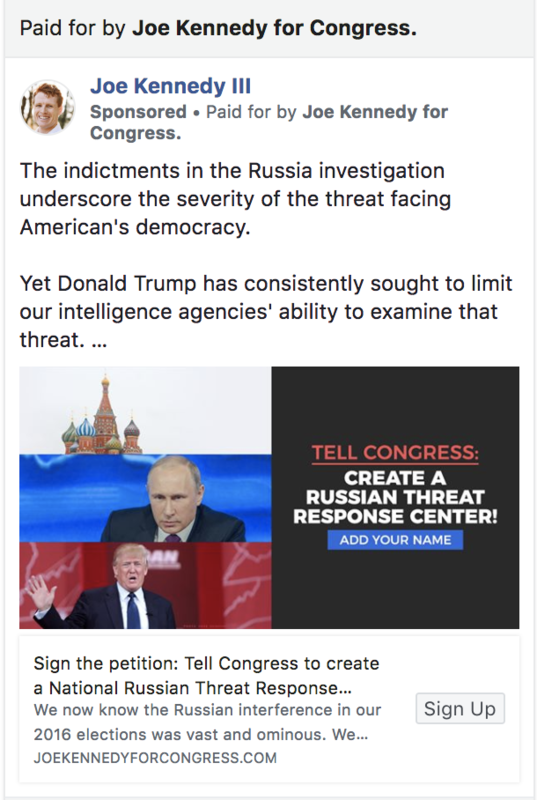 You’ll notice they’re all petition campaigns – a strategy used to build email lists of potential supporters and constituents. 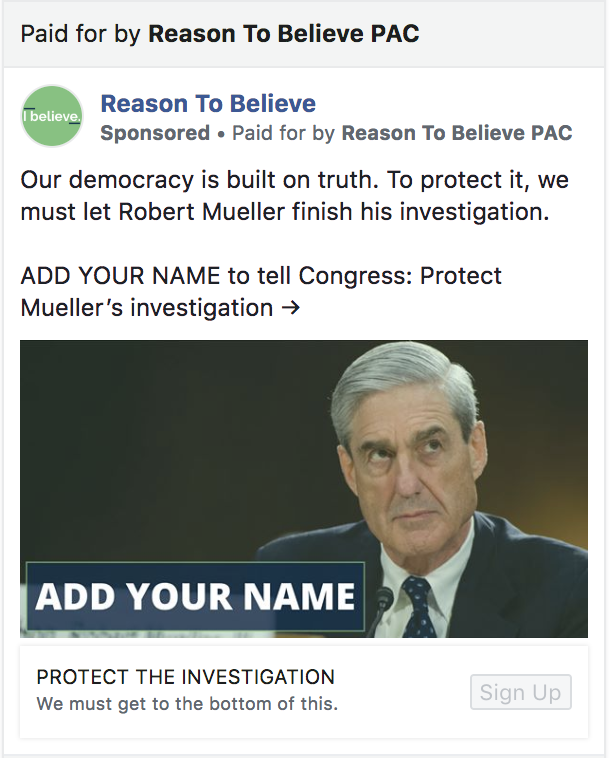 NOTE: ACRONYM is also running petition ads to protect the Mueller investigation – but we’re not running for President…yet ?. 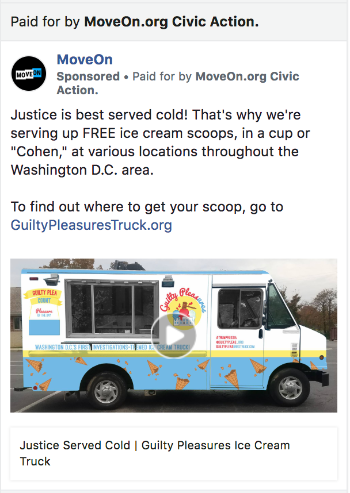 This might not be a presidential candidate, but it’s one of our favorite Mueller-related ads. You had us at free ice cream . That’s all for this week (we’re tired). But make sure to follow us on Twitter and #FWIWDebrief starting at 5pm ET tonight where we’ll be tweeting live from our First Annual FWIW Election Debrief in Washington, DC. Thanks for reading. We’re taking a much-needed break next week for Thanksgiving, but will be back on the 29th. P.S. Here’s a sign-up link you can share with friends and colleagues. And let us know what you want us to dive into next by emailing us or messaging us.